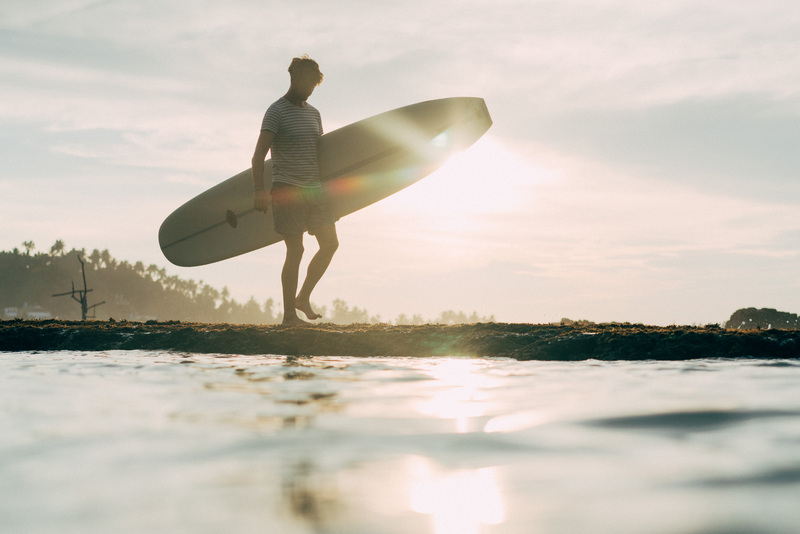 You’ve just arrived to Sri Lanka, ready to get your feet wet in some of the best waves around. Before we get too eager beaver, our surf coach Mitch has a few pointers to get the most out of your surf experience. 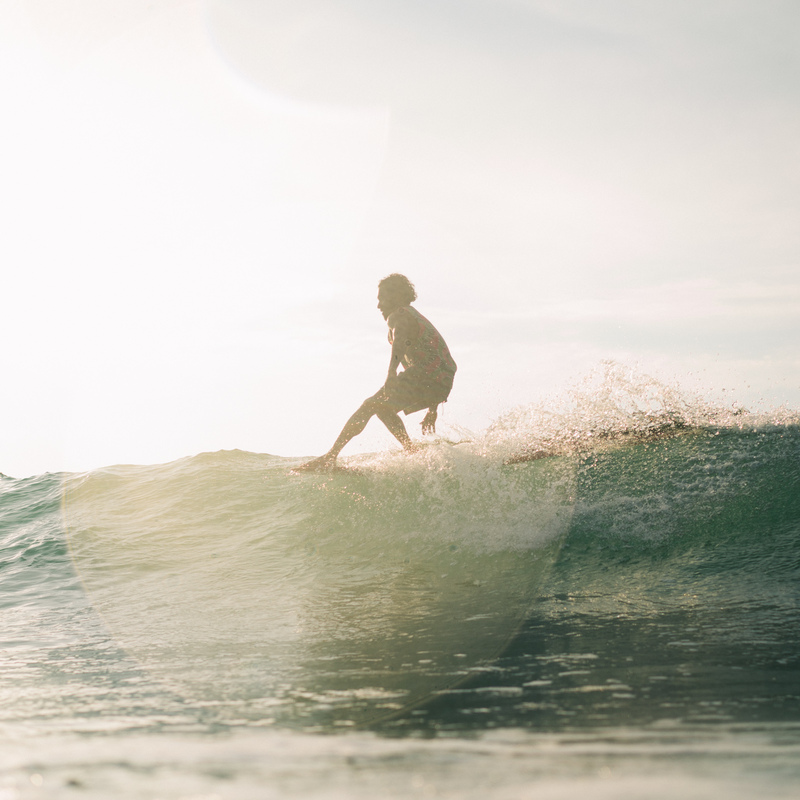 Sure, there’s nothing that compares to going out and trying it for yourself, but as you progress with the sport using these tips in the back of your mind will help your surfing advance one step further. First and foremost, surfing is all about having fun. If you’ve found yourself doing every thing but having fun, it’s time to take a step back, reassess, and readjust your mind to remain fully in the present. Doing so will keep more smiles on your face, and more time in the water. Selecting the right wave for your level of surfing can make or break your experience. If you’ve never been on a board, barreling waves aren’t going to be too friendly. Taking your surfing step by step will allow you to progress by taking the right wave for you. If you’re just starting out with a foam board in hand, you’ll want to select a wave that has already been broken – otherwise known as the white wash. These waves can vary from ankle deep to waist high, and have enough power to push you forward. The momentum of the wave will carry you forth, allowing you to get comfortable turning on your belly to eventually standing up to practice your pop-up. Once you’ve gotten good at standing up properly, it’s time to take on a green wave. The point is to match the speed of a wave and surf it as it’s breaking. These waves can vary immensely in size. From waist high to head high to over head high, it’s important to charge whatever you’re comfortable with. Of course, advancing also means breeching your comfort zone. You can still be a bit nervous and have fun, just use your best judgement. Tucking your toes will help keep you moving forward, fast. Having your feet completely flat creates an extra barrier water has to move through. Moving faster means more chances of getting into the wave. This will mean using your back muscles to pull the front of your chest up and off the board. This does one of two things: First, it helps keep your head lifted and your eyes forward. Secondly, it gets your body prepared for your proper pop-up. Ideally, it should only take you three really strong paddles to get into the wave. Rather than exerting all your effort into paddling with short, fast strokes take your time and paddle deep. The further in your arm goes, the quicker you’ll move through the water. Try to keep your fingers together as well, creating more surface area to move the water. As Mitch always says, look where you want to go. The same goes for turning directions into a wave depending on how it’s breaking. Having your eyes forward will encourage your body to move in the same manner. It also is a safety tip in case fellow surfers happen to be in your directional path. Now it’s time to get up, stand up for the wave. 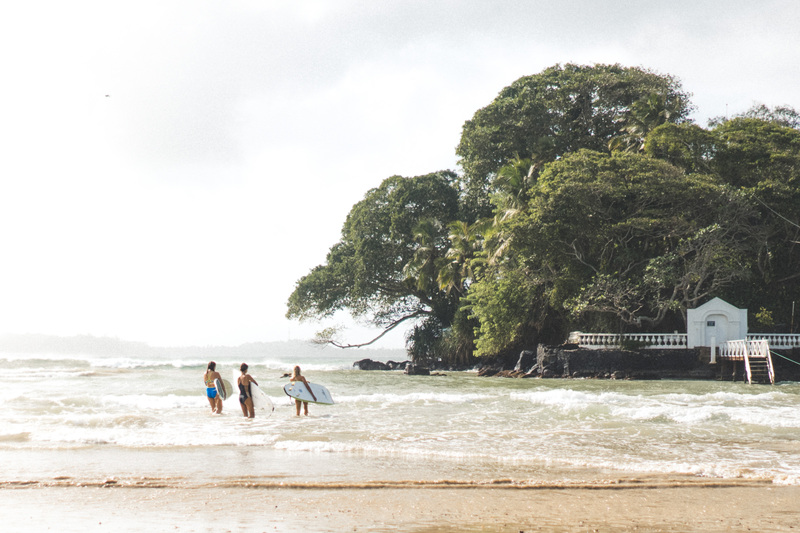 The pop-up is one of the most crucial aspects of surfing, so doing it right is the key to surfing success. 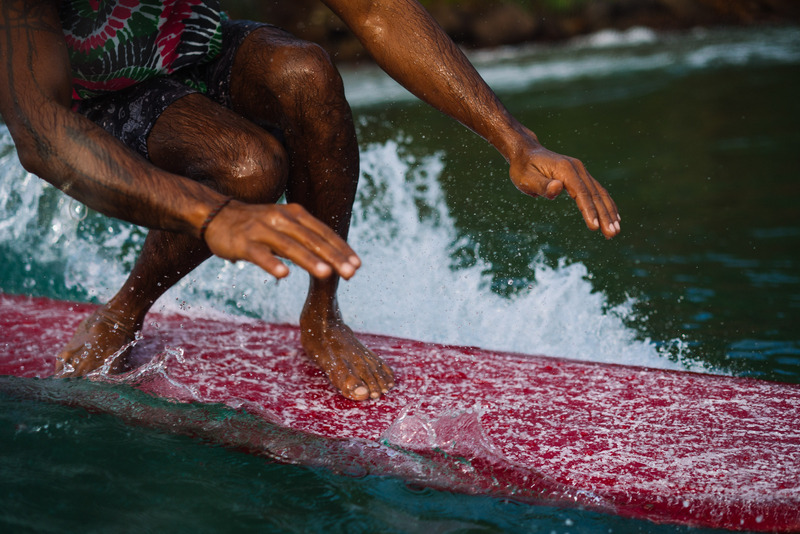 Glide into the wave and bring your hands to the deck of the board, right underneath your chest. Extend your thumbs towards each other, making a nice strong platform for the rest of your body. Look in the direction you want to go. Push your chest up, fully extending your arms. You are able to easily control your board in this position, using your vision and body weight to turn or straighten your board. When you’re learning, you can even stay here until you’re ready to stand up. Bring your back foot up across the stringer at a 90° angle. Bring your front foot up at a 90° angle across the stringer. Keep your body low to the board, keeping the power in your lower body. The key is practice. The more practice you get in the water, your body will start to naturally adopt the mentality of a surfer. With muscle memory, your body will move into the correct position time and time again. As you advance, you’ll start to practice maneuvering into the wave and turning. Depending on the type of board you prefer to surf, cutbacks or cross-stepping may be within your future. ← Two boys. Two motorbikes. One adventure down the coast. This was the best place to learn to surf! Easy waves, best instructors and lots of fun too! Highly recommend Sunshine Stories.